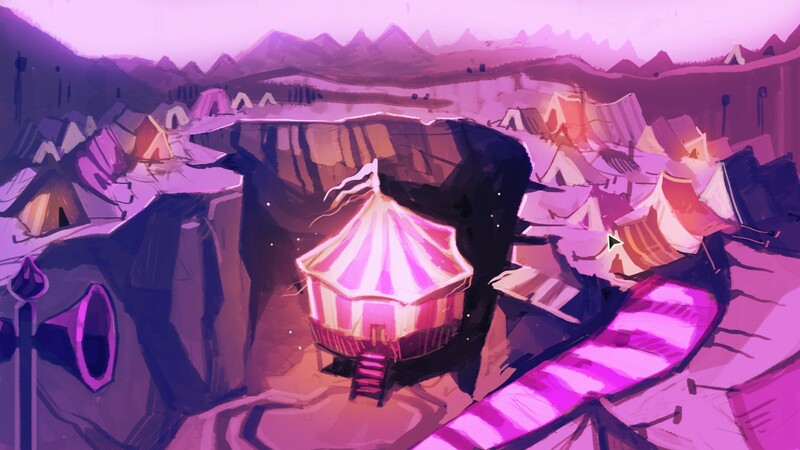 A House of Many Doors is a recent exploration RPG where everything is fantastical and bizarre, yet queerness is treated as entirely normal. Somewhere among the bandits and eldritch abominations that lurk in the dark, my brave explorer fell in love. She did have a previous relationship with the craft’s navigator, an older woman, full of spirituality, who treated her with care and respect. But the one for her is Genevieve Caul, a bright, wry woman – who also happens to be a vampire. It’s a bizarre relationship – but not because it’s between two women. Yet these wonderful partnerships have only been between two women because of my personal decision to treat my adventurer as female. 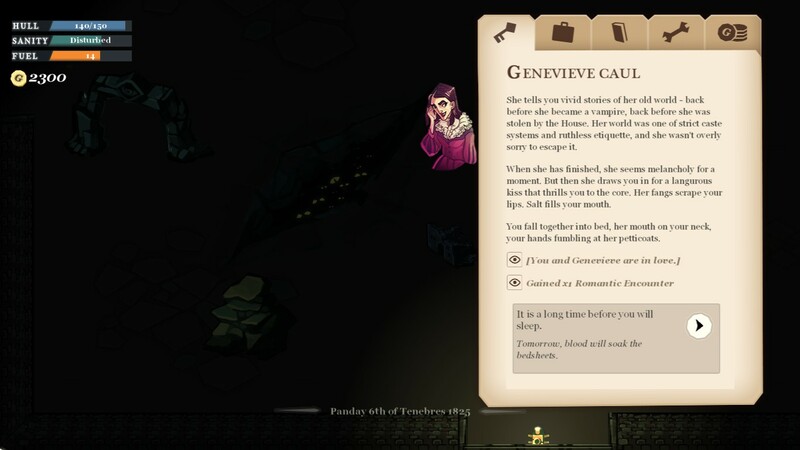 She is never referred to as such in the game; the text refers to “you” and the other characters use gender-neutral terms of address like “boss.” Instead of enforcing anything, the game simply offers up a set of portraits to use as the face of your character and makes no assumptions based upon your decision. No gender here, only style. It makes sense that a society preoccupied with occult horrors and intense political machinations wouldn’t particularly care who loves whom or have the time to uphold the gender binary, yet this doesn’t always follow. Major releases such as The Witcher 3 and Fallout: New Vegas portray societies that must deal with both monsters and power struggles and yet for some reason instead spend time and energy persecuting LGBTQIA+ people such as Mislav the hunter and Veronica Santangelo respectively. Carrying this real world bigotry wholesale into fictional worlds alienates queer fans. Conversely, developers who interrogate their underlying assumptions during world building can create an escapist fantasy that is inclusive of everyone, including LGBTQIA+ players looking for a break from having to deal with traditional power structures. Moreover, it is important for demonstrating that inequality is not a de facto state and that a setting can feel threatening or oppressive without copying the all-too-real stressors of marginalised people. A House of Many Doors is just one game that has avoided doing this. ; interactive fiction often has great queer representation. In particular, this game is funded in large part by Fundbetter, a wing of Failbetter, which produces many games that follow a similar line tonally, mechanically, and in terms of diversity and representation. 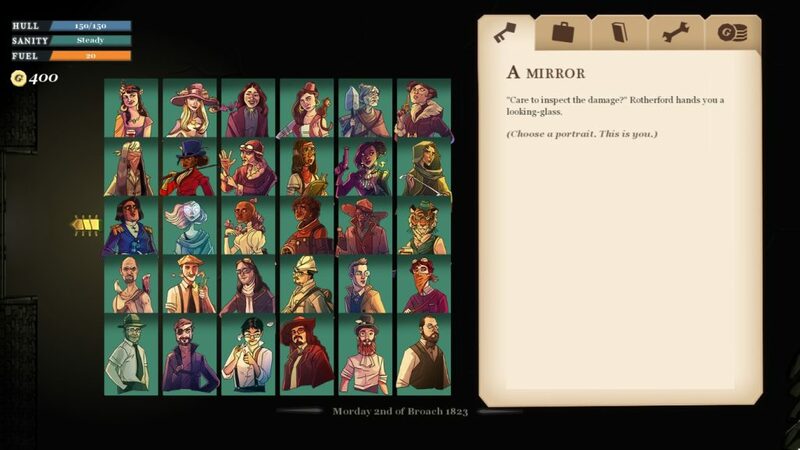 One of these, Fallen London, is even free and available to play in browser or as an app, so it’s certainly something worth looking into for those searching for representation or simply something a little different in a catalogue of straight and cis characters.